2014 is a milestone year for Canadian basketball: Raptors started their 20th season and basketball icon Steve Nash’s career might be ending due to a back injury. And there are a record number of Canadians in the NBA this year including the top draft picks Bennet and Wiggins in the last two years as basketball enjoys a huge surge in popularity and becomes the sport of choice for many more young Canadians. 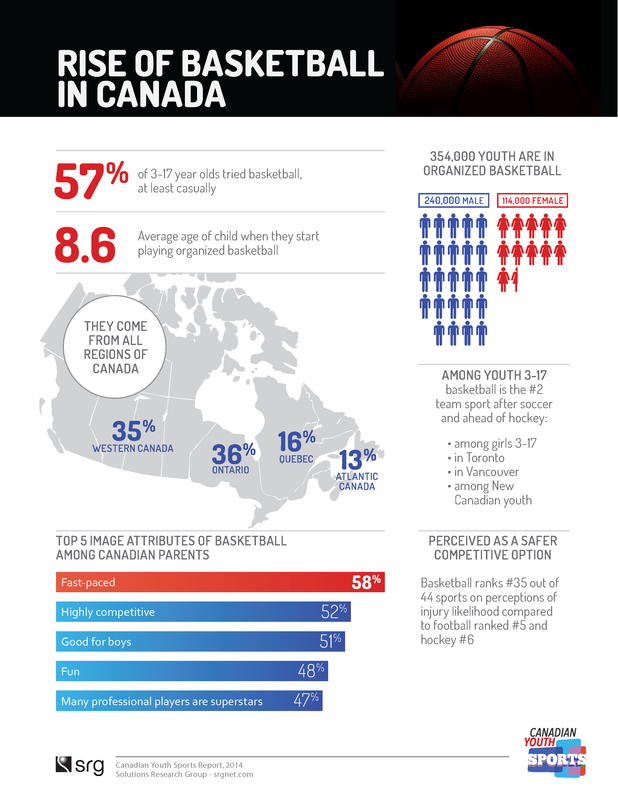 The Globe and Mail’s Joe Friesen wrote about the growth of basketball in Canada and particularly in Toronto, using data from SRG’s Canadian Youth Sports Report. (for a full executive summary of the report released in June 2014, click on this link for a PDF download).